Austrian Railways part 6- Vorarlberg- Ticket to Ride. Vorarlberg is the Austrian county in the far west, separated from Switzerland by the Rhine. The now canalized river flows into the Bodensee between St Margrethen (CH) and Bregenz (A). The main railway is a continuation of the Arlbergbahn – the Arlberg mountain railway – from Innsbruck. The mountains are behind us, and indeed either side of us – so the railway is mostly level. 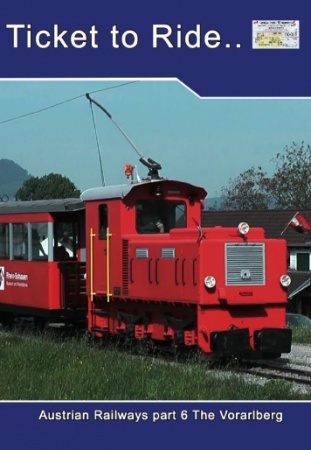 What makes the area so interesting is its railway diversity – a four country corner: Austria, Liechtenstein, Switzerland and Germany. 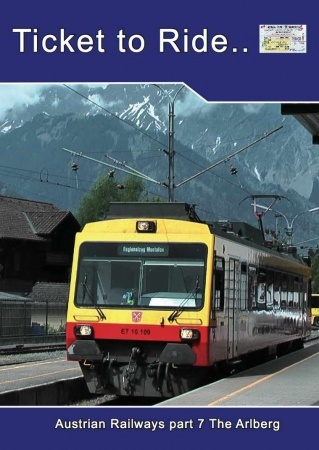 OBB RailJets travel between Zürich and Vienna through Liechtenstein and Buchs, while Zürich to Munich EuroCities have an equally complex route through St Margrethen and Lindau. We visit: Feldkirch, Buchs, Dornbirn, Wolfurt (the OBB Cargo centre for the west of the country), St Margrethen, Bregenz and German Lindau the end station for the Vorarlberg county sponsored regional trains and the International Rhine Regulation society (IRR) where trolley-pole locomotives now haul tourists rather than stone.